This remarkable compilation brings together the best of painter Jota Leal's surreal celebrity portraits. This volume has something for anybody who is captivated by the famous and iconic figures around us. Here is the poster of the first international exhibition of caricatures in Sisak (MIKS) 2015. 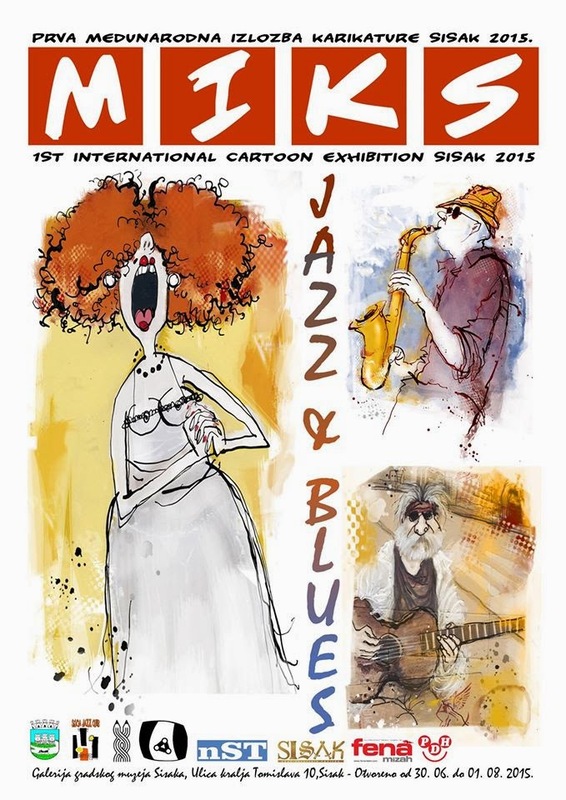 The theme of the exhibition is "Jazz & Blues". Citizen photographer Julie Oliver has won a National Newspaper Award for a series of photos she took of Ottawa's 14-year-old "butterfly child," Jonathan Pitre, seen here staying warm in front of a heater as he waits for his bandages to be reapplied. Jonathan suffers from the rare disease Epidermolysis Bullosa, which leaves his skin severely blistered. The Ottawa Citizen won two National Newspaper Awards Friday evening for photography and feature writing. On January 7, two gunmen burst into the offices of French satirical magazine Charlie Hebdo, killing eight journalists and bringing into focus the risks cartoonists face. 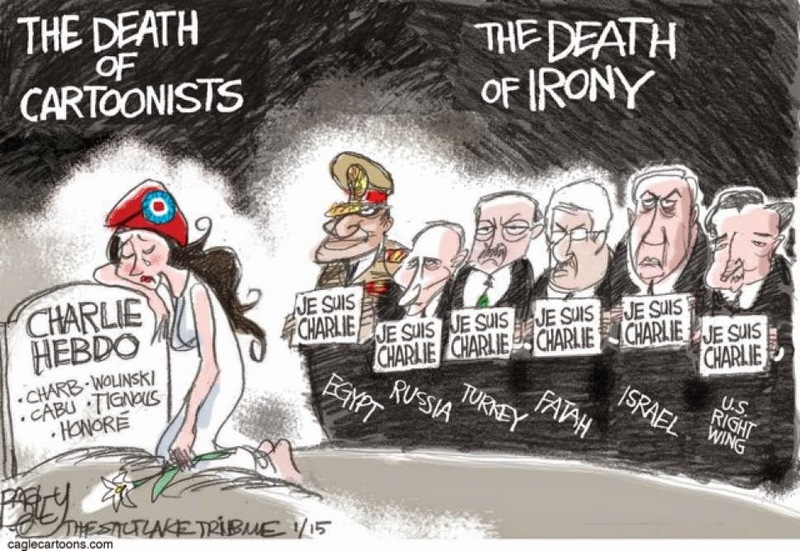 But with the ability of their work to transcend borders and languages, and to simplify complex political situations, the threats faced by cartoonists around the world—who are being imprisoned, forced into hiding, threatened with legal action or killed—far exceed Islamic extremism. The National Newspaper Awards were announced at an awards ceremony Friday night in Toronto. 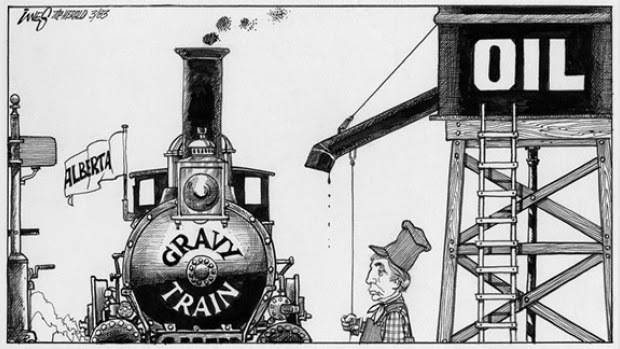 Top prize in the Editorial Cartoon category, as well as nomination for best journalist of the year, went to Bruce MacKinnon for this cartoon on the assassination of Cpl. 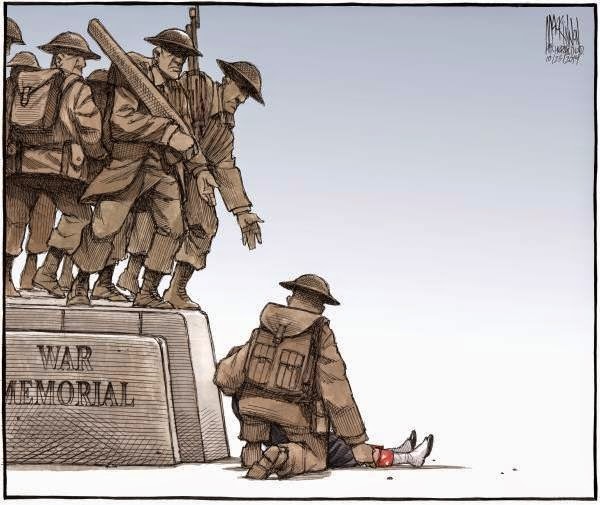 Nathan Cirillo. 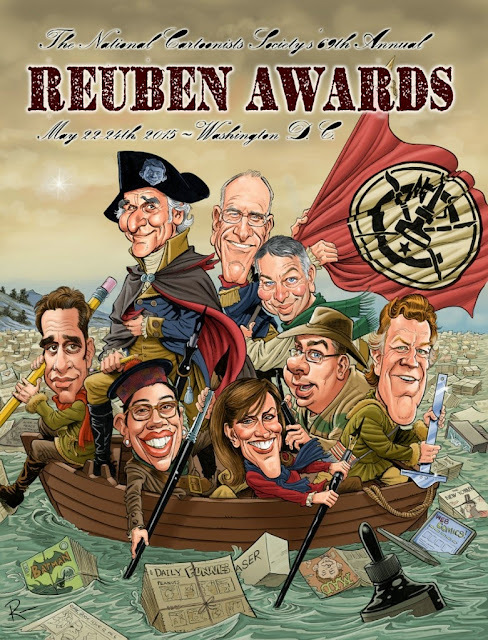 The 69th Annual Reuben Awards Weekend will be held this weekend in Washington D.C.
New Yorker Cartoonist Joe Dator Tells Us About “The Cartoons on Peggy Olson’s Wall” in Inkspill. 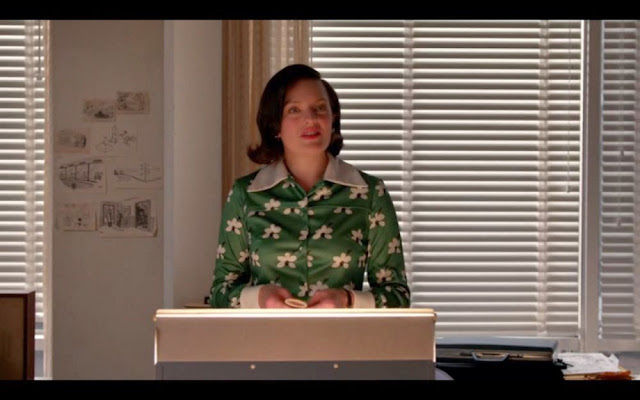 In the seventh season episodes “Severance” and “New Business” there are four New Yorker cartoons visible on the wall. True to the production’s meticulous attention to detail, all of them were published prior to those episodes April 1970 setting. Press release from Tayo Fatunla. I am so proud to announce, the launch of the Digital comic which I produced in conjunction with Positive Negatives and titled...Hooked, and produced by the BBC. Hooked begins on 18th May and will run daily on TV and online at http://www.bbc.com/news/magazine-32740687 until 22nd May. It’s been a big weekend for comics news. 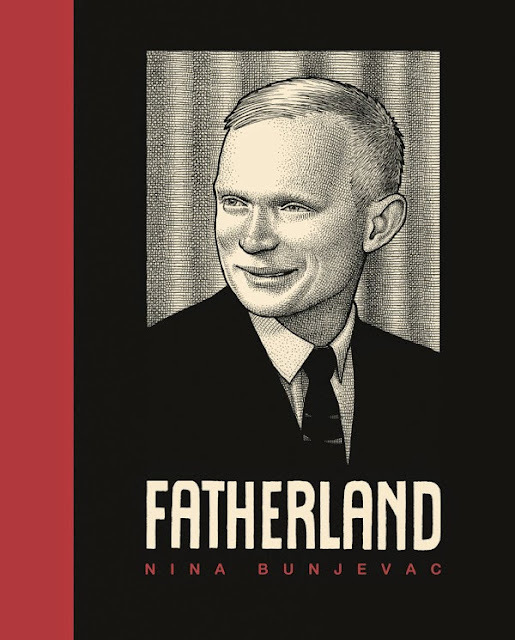 First we had the announcement Friday that Chris Oliveros is stepping down as publisher of Drawn & Quarterly, to be replaced by Peggy Burns and Tom Devlin, and second, the winners of the 2015 Doug Wright awards for Canadian Cartooning were announced during TCAF on Saturday night. Matthew Diffee has been drawing cartoons for The New Yorker since 1999. 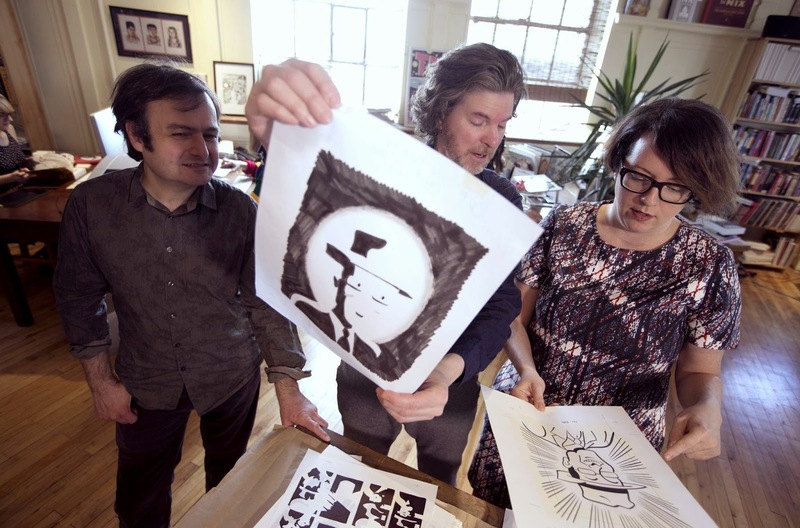 When asked which comes first, the image or the words, he tells NPR's Scott Simon, "They both come at the same time. I start with words, but while I'm thinking words I'm picturing the drawing already." Diffee has edited a best-selling volume of rejected New Yorker cartoons, and he has been honored by the National Cartoonists Society with a Reuben Award, which may be one of the few awards named for a deli sandwich. 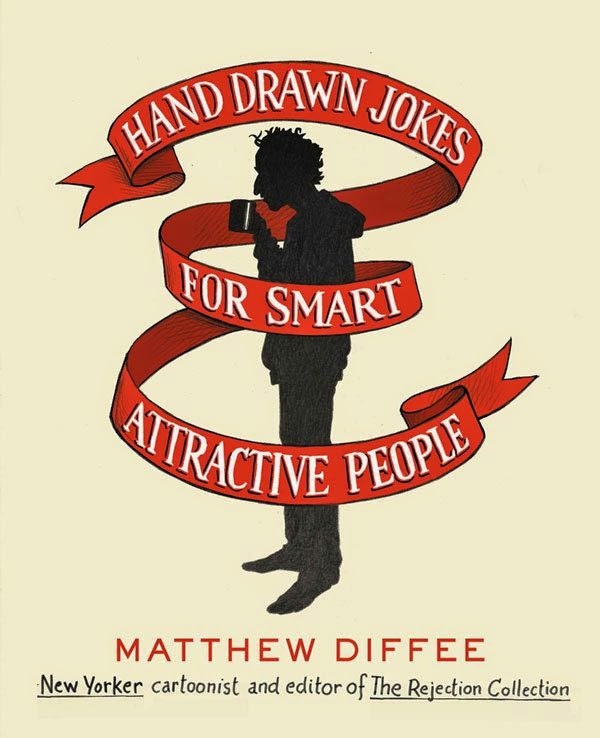 His new collection is called Hand Drawn Jokes for Smart Attractive People. Jennifer Ditchburn for The Canadian Press. 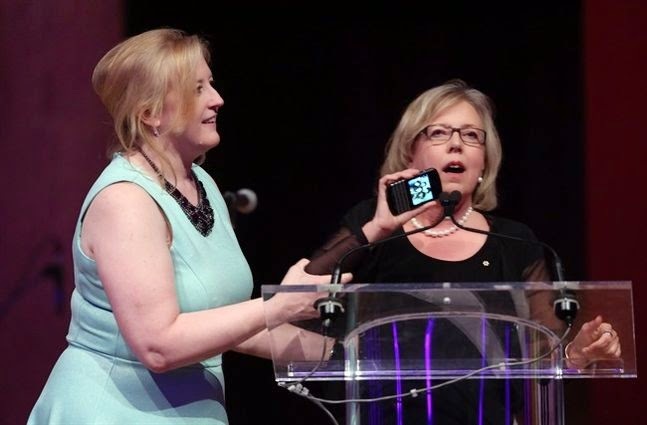 Transport Minister Lisa Raitt (left) prompts Green Party Leader Elizabeth May to stop her speech and leave the stage at the Annual Parliamentary National Press Gallery, Saturday May 9, 2015 in Ottawa. Alcohol, politics, risque jokes and sometimes even real news —it's all been on the menu for the parliamentary press gallery dinner since at least the 1870s. Saturday Night Live is taking some heat for a controversial sketch from this weekend's broadcast that plays on the danger of depicting the Prophet Muhammed, but it appears the NBC sketch comedy show may have stolen the punchline from CBC's This Hour Has 22 Minutes. The SNL sketch, titled "Picture Perfect," featured host Reese Witherspoon and Bobby Moynihan on a team in a Win, Lose, or Draw-style game show. 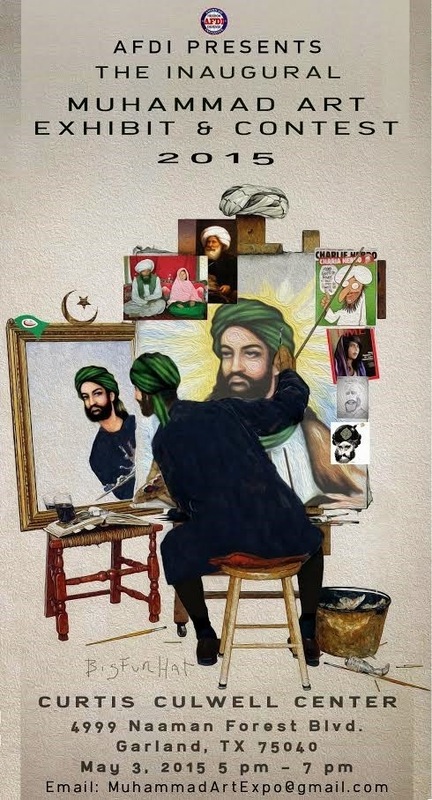 But things get awkward when Moynihan is asked to draw the Prophet Muhammed for the grand prize of $1 million. Mark Medley in The Globe & Mail. Drawn & Quarterly's founder and publisher Chris Oliveros, left, creative director Tom Devlin, centre, and associate publisher Peggy Burns have built what many regard as one of the world's best comic publishers from modest beginnings in Montreal. 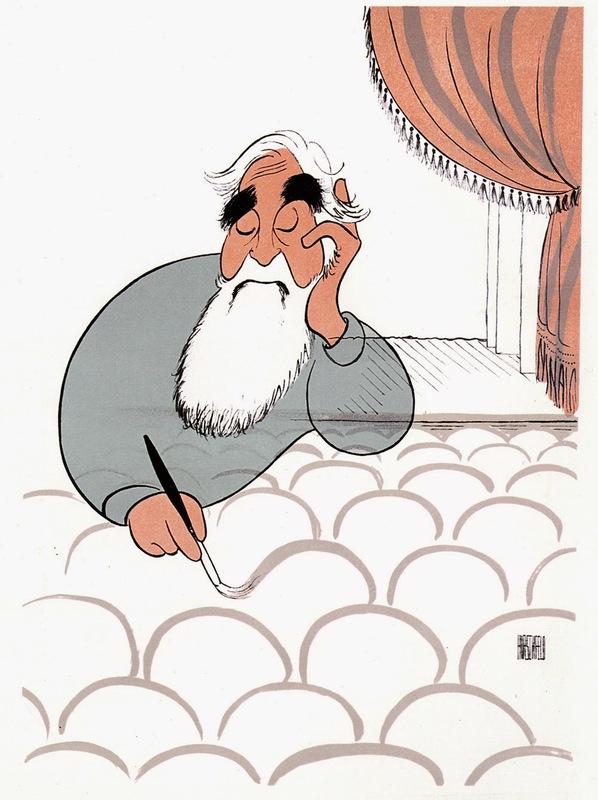 "The Hirschfeld Century: The Art of Al Hirschfeld"
From the New-York Historical Society. The Hirschfeld Century: The Art of Al Hirschfeld examines his influences, his iconography, and his techniques, from his earliest works to his last drawings. Visitors will have the opportunity to trace this unique artist's evolution by viewing his own body of work, including drawings, paintings, selections from sketchbooks, ephemera, and video. 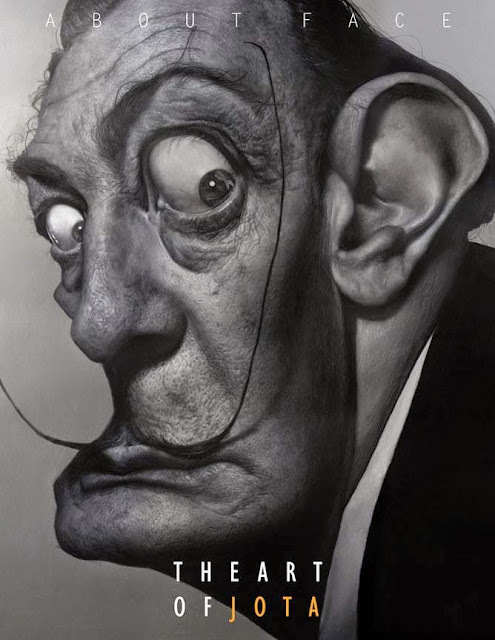 The exhibition is being organized in partnership with the Al Hirschfeld Foundation and is guest-curated by David Leopold, the Foundation's Archivist. 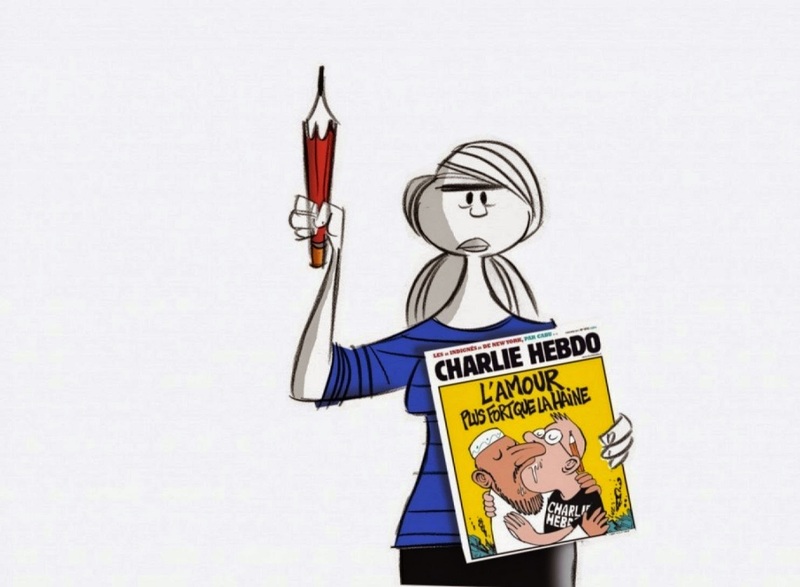 Cartoonists Art Spiegelman (“Maus”), Neil Gaiman (“The Sandman”) Alison Bechdel (“Fun Home”) and Jules Feiffer as well as New Yorker art director Françoise Mouly endorse PEN’s decision to present its Toni and James C. Goodale Freedom of Expression Courage Award to Charlie Hebdo. 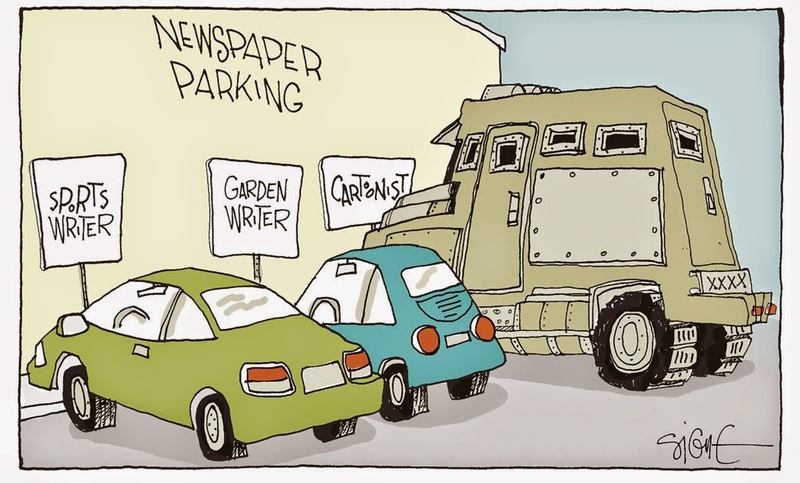 .. this wonderful cartoon by Pat Bagley published in The Salt Lake Tribune last January.